Kathleen “Kathie” Wilsbacher, 76 of Marietta, Ohio formerly of Belpre, died at the Marietta Memorial Hospital on August 23, 2018. She was born in Evansville, IN and was the daughter of the late Melville G. and Elvira J. Muehlbauer Lasher. Kathie was a member of St. Ambrose Catholic Church. In 1963, she graduated from St. Mary’s School of Nursing (Evansville). She worked for 14 years for Parkersburg Catholic High School as registrar and financial secretary. From 1975 to 1979, she was Belpre’s public health nurse. Kathie was active in her community. She was a member of the Belpre Woman’s Club from 1972 to 2016, serving twice as President. From 2016 till now, she was an associate member of the Belpre Woman’s Club. 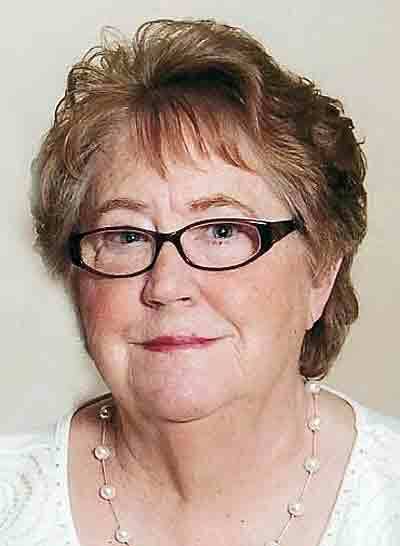 She was a member and past president of the St Ambrose Catholic Woman’s Club. The Girl Scouts of America benefited from her leadership locally for over a decade beginning in 1972. She volunteered her expertise for the Red Cross blood center in Parkersburg. She served on the Parkersburg Catholic School Board, volunteering for many things in the High School and Elementary School, and she was a member of the PTO at Stone Elementary and PCHS. In the mid 1970’s she was on the Right to Life Board, and was a member of the Friends of the Belpre Library. She helped Belpre celebrate the nation’s bicentennial by serving on the planning committee and playing a role in its commemorative play. She sang in the church choir and was a volunteer at BAM from 2005 to 2008. Kathie liked traveling with her husband, visiting all 50 states and enjoying a number of cruises. She also enjoyed cooking, counted cross-stitching, and solving crosswords. Survivors include her husband of 54 years, Charles L. Wilsbacher, four children, Anthony (Maryanne) Wilsbacher of Dublin, Ohio, Lisa (Shane) Collier of Lexington, KY, Gregory (Sharon) Wilsbacher of Columbia, SC, and Matthew (Lisa) Wilsbacher of North Canton, Ohio. Also surviving are 7 grandchildren, 2 great grandchildren, a sister, Janet Meckert of Gulf Shores, AL, brother, Robert (Pat) Lasher of Valencia, CA, brother, Steve (Mary Kay) Lasher of California, MD, brother, John (Lisa) Lasher of St. Peters, MO. and several nieces and nephews. Services will be on Monday at 10:00 AM at the St. Ambrose Catholic Church with Father Robert Gallagher as Celebrant. Burial will follow in the St. Mary’s Catholic Cemetery at Little Hocking, Ohio. Friends may call at the Leavitt Funeral Home, Belpre on Sunday from 2:00 to 4:00 and 6:00 to 8:00 PM. In memory of Kathie, donations may be made to the Marietta Home Health and Hospice, 450 Pike St., Suite I1 Marietta, OH 45750 or the Parkinson’s Foundation, 2800 Corporate Exchange Dr. Suite 265, Columbus, Ohio 43231.